Working on a deadline, or rather several deadlines, a few that have come and gone, and I need help. I'm not alone, am I? Whatever it is that has you in its grips today, whether it be farm animals, or piles of paperwork, or deadlines, or a big mess of a house (that's me, but it's going to have to wait.....), you're probably looking for help. Today, help for me comes in the form of iced coffee, the magical, and oft-craved get-up-and-go juice that I'm relying upon to keep me focused, and furiously typing. If you're still making iced coffee by dumping the morning's tepid leftovers into a cup of ice, then I have three words for you: "Stop. It. Please!" 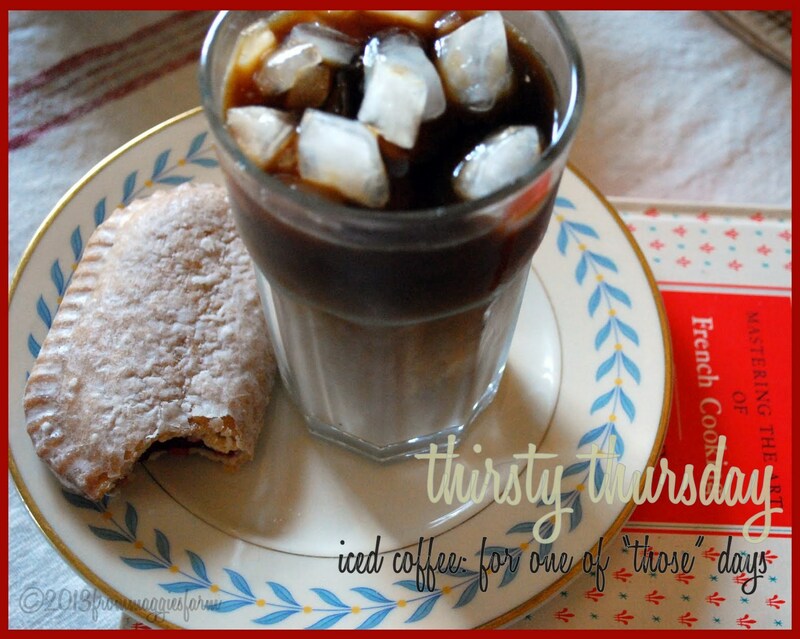 Like you, I used to think this thrifty move was a nifty way to turn morning coffee into an afternoon pick-me-up, even if it did taste stale, watery and sour. But just as cafes have become much more serious about their iced coffee brewing — most no longer just transfer the day's leftovers into a pitcher — so have many home iced coffee brewers. In response, Starbucks, Seattle's Best and Keurig have all recently launched new blends specially designed for those who want their iced coffee at home to taste as good as the stuff they get at the cafe. 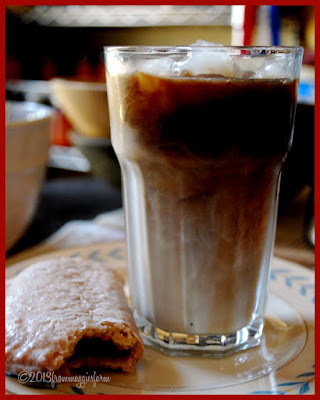 Iced coffee-brewing aficionados, however, don't always see eye to eye on how to achieve this feat. In recent years, they've divided into two distinct brewing tribes: cold brew fans and Japanese iced coffee fans. To many, Peter Giuliano, co-owner of North Carolina-based company Counter Culture Coffee, is the American father of the Japanese iced coffee method, which he honed in the early 2000s after a palate-changing visit to Japan. As the current president of the Specialty Coffee Association of America, he admits, with some embarrassment, that he grew up in a household where iced coffee was made with stale leftovers. "But then I went to Japan in the late '90s and tasted iced coffee like I'd never had before." Giuliano would spend the next few years cultivating a relationship with Japanese coffee master Hidetaka Hayashi and trying to figure out just what made Japanese iced coffee so different and delicious. Eventually the "Coffee Kid" would discover the key. "I learned that the secret is to brew the coffee right on to the ice so it's hot for a second or less," said Giuliano. "Since the ice melts, you also have to do a little bit of math to make sure you are not watering down the coffee too much in the process." In 2004, he introduced this technique — using precise timing and measurements of coffee, ice and water — to the American coffee world, where it has attracted a loyal following for the vibrant flavor spectrum it captures in a cold beverage. While the hot water activates a full bouquet of flavors, the immediate cooling slows oxidation and reduces flavor deterioration. While Japanese-method fans revel in the vibrant flavors it delivers, cold brew (or Toddy method) fans celebrate the fruity, smooth, low-acid and lower-caffeine java they make without heat. Cold brewers can either buy a Toddy machine or simply mix a cup of coarsely ground coffee in a half-gallon jar of cold water, seal it and let it sit at room temperature for 12 or more hours. Once strained through a coffee filter, the resulting coffee syrup can be bottled, refrigerated and used for up to a month. It's good in cold milk or over ice, but many also mix it with hot water for a smooth, hot cup of joe. A third method calls for brewing double-strength coffee and simply pouring it over ice. And Starbucks' line of instant powdered coffees produces a decent cup of iced coffee in a pinch. But which one of these methods tastes best? We recently conducted a blind taste in the Tribune test kitchen, offering samples of all four methods. Tasters consistently chose the Japanese iced coffee, calling its flavors rich, bright and bold. Cold brew, with its lower acid and fruity drinkability came in second, with tasters noting its sweetness and similarities to iced tea. They'll taste a lot better than those nasty leftovers we've all been chugging with ice for years. 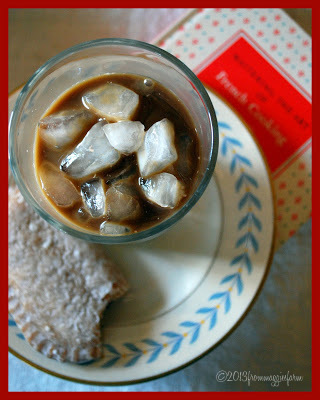 For iced coffee, skip darkly roasted Indonesian coffees for lightly roasted, fruit-forward African or Latin American beans. 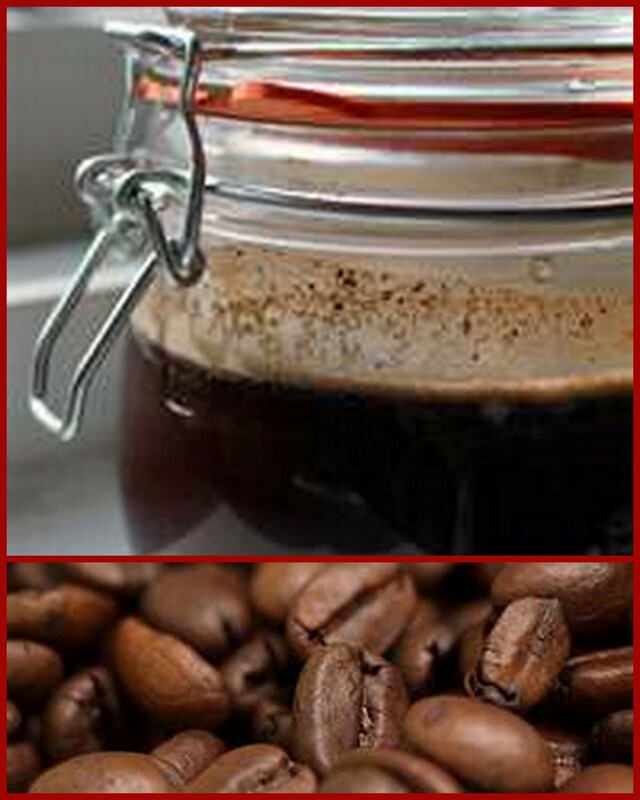 Regardless of how you brew your hot coffee, make it strong, optimally double strength, then dilute to taste. Chill hot coffee as quickly as possible to slow oxidation and the formation of quinic acid that can turn the coffee sour. As the Dire Straits might say, 'If you wanna run cool....you gotta run on heavy, heavy fuel'. And for this particular day, we're in agreement. We're going to pour a big glass of get up and go. 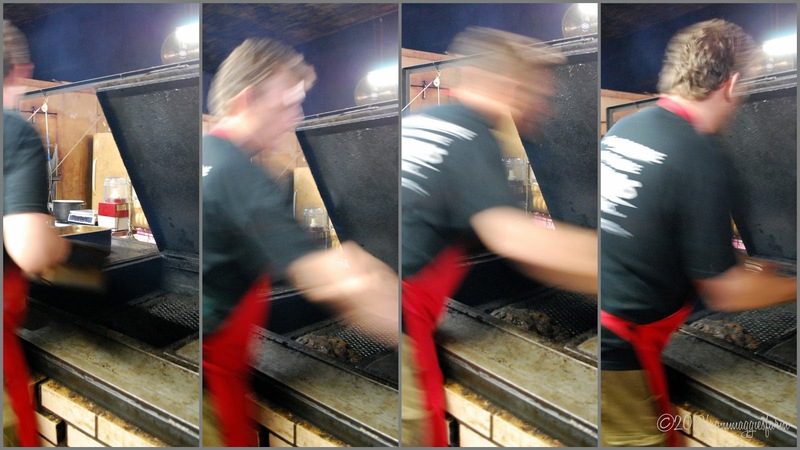 Every corner, every wall, every nook and cranny of Louie Mueller Barbecue, in Taylor, Texas is a snapshot of history. A near-50 year history, that sadly was marred this past weekend by the destruction by fire, or two fires, actually, of the original ceramic brick pit. 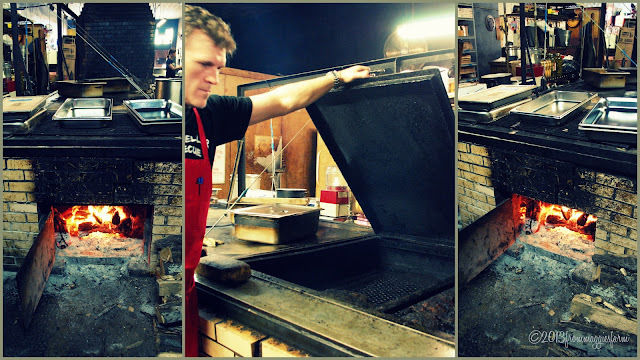 We were there only a week earlier, visiting with Wayne Mueller, about the most gracious BBQ host I've had the pleasure to meet, as he showed us around the iconic spot, home to at least one in our company's favorite barbecue in Central Texas. We look forward to sharing that day, and many more snapshots, when Louie Mueller Barbecue was the 'breakfast' cue for a day long BBQ comparison, covering about 300 miles, 8 pits, trays of brisket, ribs, sausage, sides and more. Mueller's placed the bar uncompromisingly high. We were heart-broken to hear of their misfortune. Happily, not all was lost, and Mueller's expects to be back in business by week-end. Stop by and give them a little moral support if you're in the area, or, say, anywhere within a 300 mile radius. Louie Mueller's Barbecue is well worth the drive. Even though the brick pit cannot be saved, it will live on. We will be salvaging as many porcelain-lined, exterior bricks and squares of steel plate lids as possible. Each brick / Steel Square will be stenciled / marked commemorating its heritage as Louie Mueller Barbecue's 1st brick pit, in operation from 1959 to 2013. Each brick / Steel Square will be signed, numbered and include a certificate outlining its pedigree. Proceeds will be used to offset out-of-pocket expenses incurred in rebuilding the new brick pit. Any funds not used to rebuild our beloved brick edifice will go to the establishment of a foundation whose mission will include the education and preservation of Texas heritage and culture. Price of the bricks and Steel Squares will be determined once demotion is complete. Check back often for updates on pricing, ordering and distribution information. On behalf of all of us here at Louie Mueller Barbecue, thank you for all your love and support through a turbulent time in (Y)OUR history. We can't begin to express how much we love and appreciate you all! 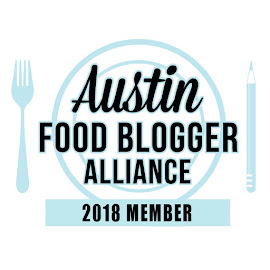 And stay tuned for Louie Mueller Barbecue's spot in our upcoming Austin Food Blogger Alliance City Guide 2013 feature on Barbecue: The Outskirts of Austin. It was a tough job, but someone had to eat some barbecue. Lots and lots of barbecue. "You have to proceed with confidence and make carnality an asset. Think like a predator. Grab the shell, raise it to your lips, tilt your head back, slurp the oyster in, and give a few chews to release full flavor. 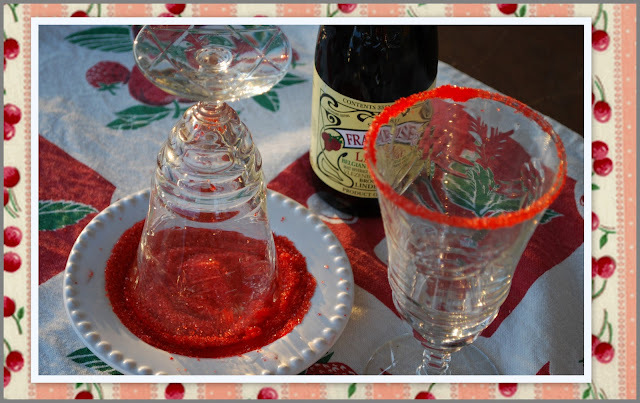 The little cocktail forks are a disaster; save them for the Vienna sausages." There should be a song. A parade. A Lifetime movie. The folks in Amite, Louisiana know this, and they throw a big party for this belle of the seafood ball in March, every year. C'est Ci Bon! Oyster Season should be as big as baseball season. Oh, how I love oysters! But oysters can be a little tricky for the home cook. Luckily, we have help. Below, find links to tips from the pros, all over. And don't be shy-- roll up your sleeves, take the proper safety precautions, and master that shell. You'll be shucking and slurping in no time. Not a fan of the oyster in it's raw state? We'll be cooking up a storm of these babies during the season, so please drop back by for Shrimp and Oyster Mirliton Dressing, Pesto-Topped Broiled Oysters, Tequila-soaked Oyster Shooters, and more, on Notes From Maggie's Farm. What is your favorite way to enjoy this jewel of the ocean? 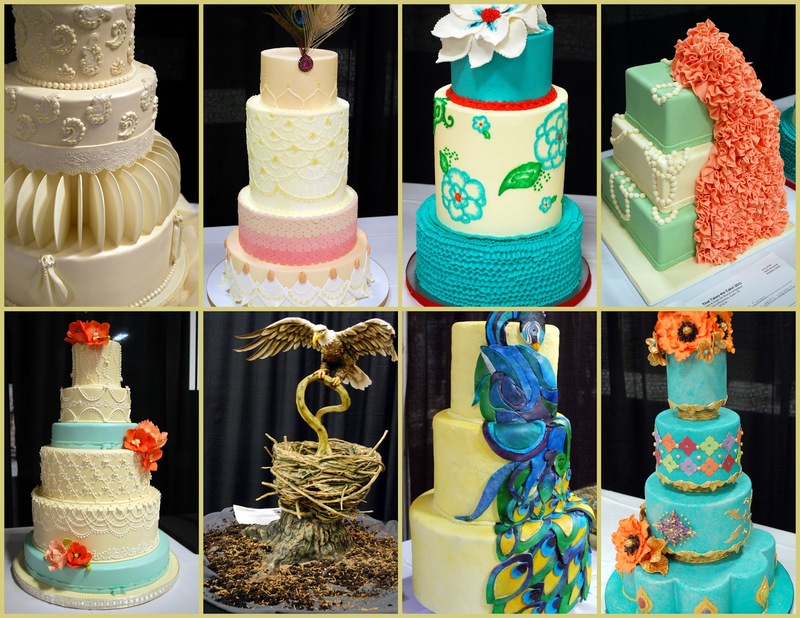 That Takes the Cake Sugar Art Show and Competition, presented for the 9th year by Capital Confectioners, takes place this weekend in Austin, and if you're even the least bit curious, take a drive up North and take a gander at the absolute artistry of cake and confection makers from beginner to professional. I was given the opportunity to be a tasting judge for the second year, and I JUMPED AT THE CHANCE. I was honored to join some of my favorite local food industry leaders in the consideration of some stiff competition. See how we sacrifice for our community? 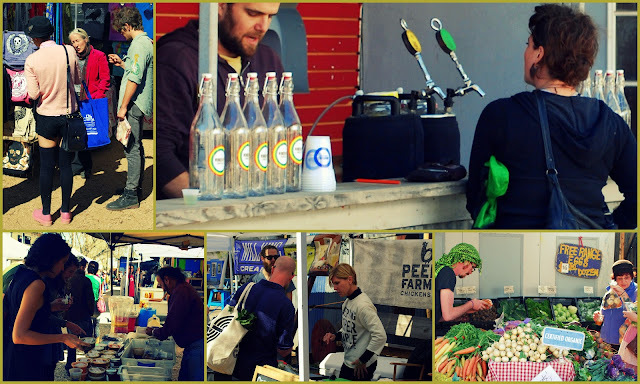 Yes, there are some delicious treats to eat, there are some neat goodies for sale, there are demos, there are classes. All of that, but really. Look at these cakes? It's like a museum of sugar! 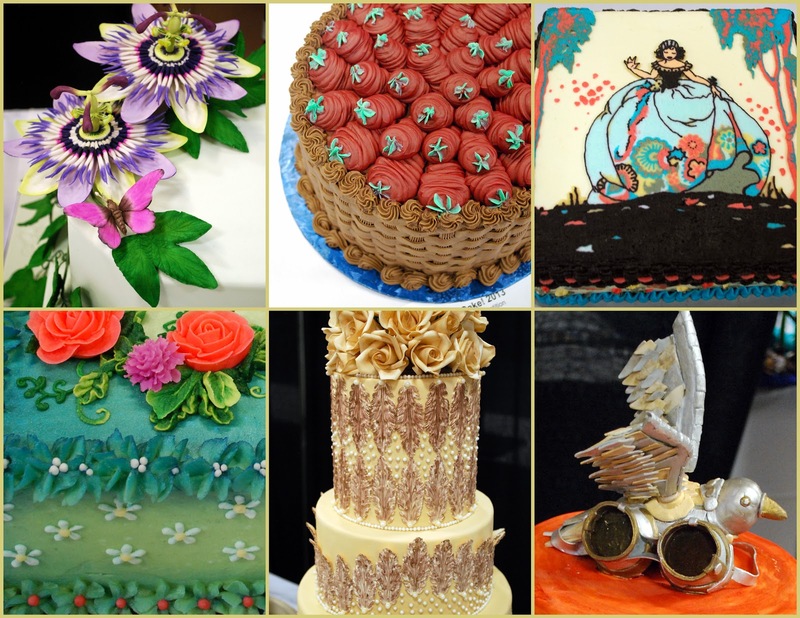 Just to see the handiwork of veritible sugar artisans, it's quite a treat. And, perhaps, you'll create a budding artisan of your own. That Takes the Cake Sugar Art Show and Competition 2013 continues throughout the weekend.at the North Austin Event Center. The Chinese New Year is the most elaborate and joyful celebration of the Chinese calendar -- and the most indulgent as well. Vast amount of food is prepared not only for family and friends, but also to honor relatives who have died. For the Chinese, a food may have symbolic significance because of its color, its shape or even the name of that food. Often homonyms -- words that have the same pronunciation but different meanings -- make foods symbolic, especially when the name of the ingredients sounds similar to a wish expressed during the Chinese New Year. 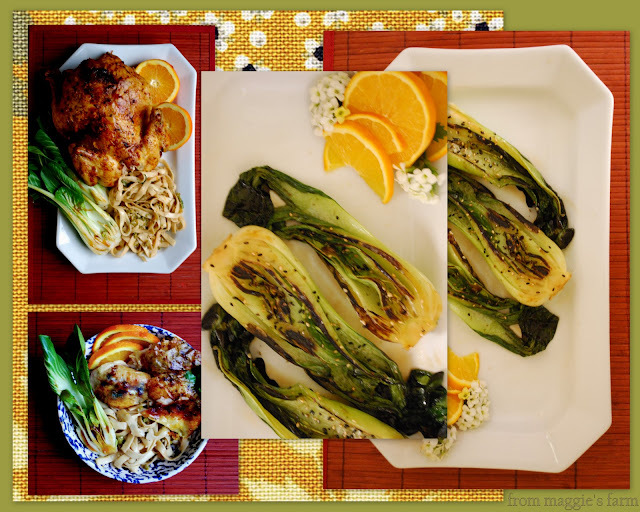 Bok Choy represents over 100 unique Chinese fortunes. It's a most auspicious vegetable, and as such, is found in abundance in dishes and on plates all over China at this time of the year. 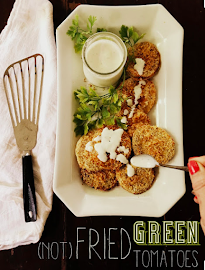 It can be one of many ingredients, or, as in this dish, prepared simply in order to enjoy it's slightly sweet, fresh, crispness in all of it's simple glory. But certainly don't save this healthy vegetable simply for the celebration, as it is a nutritional powerhouse you'd do well to include in your daily diet as often as possible. Mildly-flavored it it holds its antioxidant-filled own among the more bitter greens, making it a popular choice for those who just can't seem to develop a taste for the strong taste of many cruciferous veggies. It boasts only 9 calories per cup, and one serving, containing over 100% of vitamin A, is also an excellent source of vitamins C and K.
This simple incarnation, served with the recent and popular Orange Sesame Roasted Chicken, is the product of only 5 ingredients, including the sesame seed, sea salt and seaweed sprinkle, gomashio, atop, which while a delicious and attractive addition, is used as no more than garnish. If you're interested in making your own, and have a unique condiment that makes a bowl of nothing more than rice into a satisfying and tasty lunch and makes a most excellent seasoning for fish, chicken and more, there is a very good recipe, here, on Edible Tulip. Like olive, sesame oil is one type of oil that is good for you. It is full of mono- and polyunsaturated fatty acids which helps to reduce bad cholesterol. Some research even suggests that it can help reduce high blood pressure. It also contains two types of antioxidants—sesamol and sesamin. Antioxidants help reduce free radicals—substances in your body that can lead to the destruction of cells. Toasted sesame oil is pressed from toasted sesame seeds, and is darker in color, and more intense in flavor. 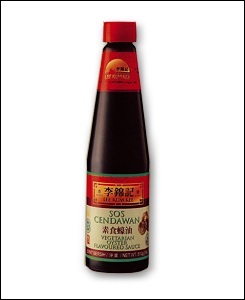 Because it is high in antioxidants, it does not become rancid as quickly as some other oils, nonetheless, refrigeration after opening is recommended. 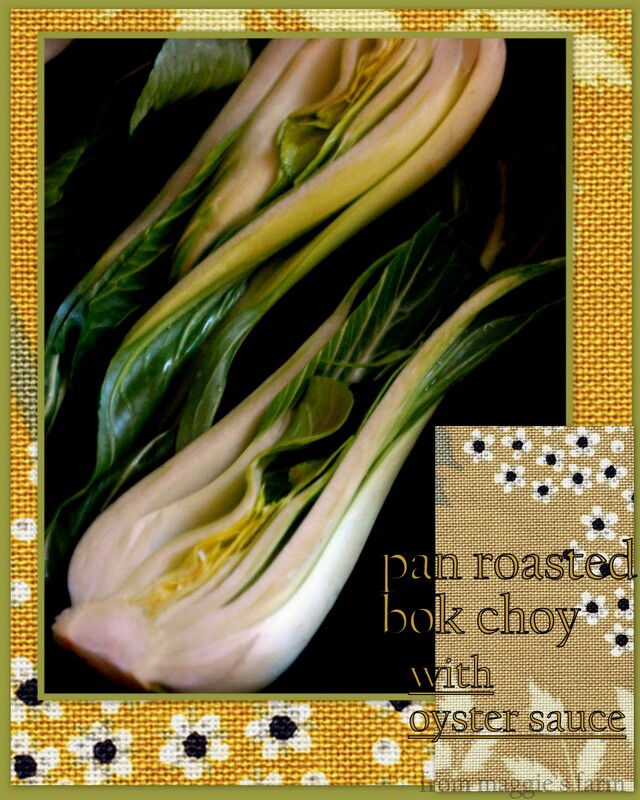 Baby bok choy is best suited for this dish, which uses the whole head, halved. Mature bok choy can be substituted, but should be chopped into bite sized pieces, using about 1 cup per serving. Slice bok choy heads in half, vertically, rinse well, and set aside for ten minutes. Why set aside? See How to Bring Out the Health Benefits of Bok Choy. Whisk together oyster sauce and mirin, or sherry. 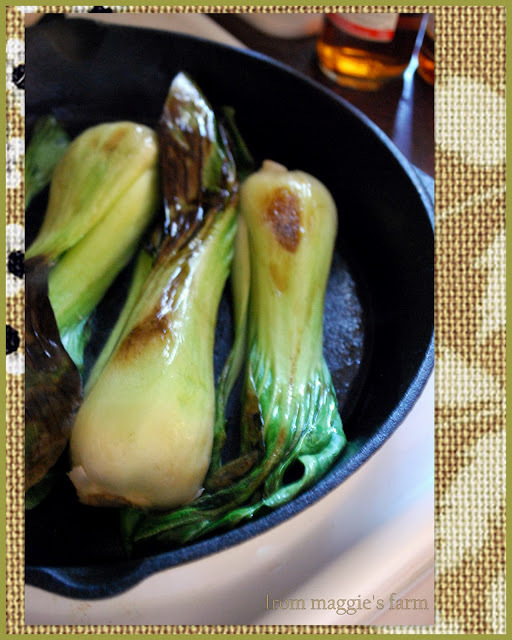 When bok choy has rested ten minutes, coat thinly, a wok or cast iron pan with toasted sesame oil. Bring to medium high heat, when oil begins to shimmer. Sear uncut side of bok choy first, allowing surface to brown, and then turning cut side down to sear well. Add sauce to pan, and lower heat to a low simmer. Cover with a lid, or heavy dinner plate. Allow to steam until thickest part of the head is crisp-tender, and greens are wilted, about 5 minutes. Remove to plate, garnish with gomashio, if desired, and serve immediately. If a more complex sauce is desired, the additon of minced garlic, grated fresh ginger, citrus zest, and cracked red pepper, individually, or in any desired combination to the oyster sauce/sherry or mirin dressing would all ratchet flavors up nicely. If serving with Orange Sesame Roasted Chicken, or other full-flavored or highly-seasoned dishes, keeping these additions to a minimum will assure a more palatable complement. Falling on the night of the first full moon of the lunisolar New Year, the Lantern festival brings an end to the Chinese New Year season. 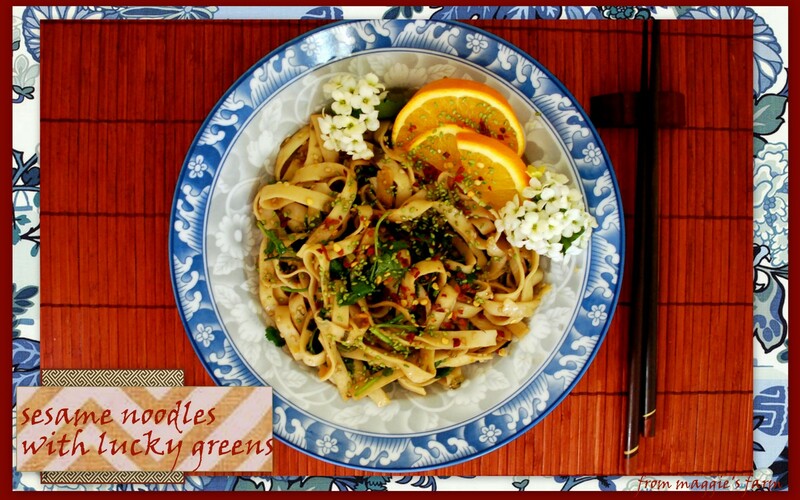 Join us this Sunday as we conclude our celebration of the Year of the Snake with Sesame Noodles with Lucky Greens, on Notes From Maggie's Farm. We've had spring-like weather most of the month of February, and it's been perfect for perusing the local farmers markets. We hit the downtown area one Sunday afternoon for a stop at Hope Farmers Market, currently located on E5th and Waller, and scheduled to move to E5th and Comal, Austin, March 2013, where we found fresh, local fare, and the hipster/hippie, young/old, (several accompanied by the urban market accessory, de rigueur, ironic dogs,) were in full force, keeping Austin delightfully weird. Along with food, both fresh and prepared, there was art, and artists, a yoga class, and gymnastics on the lawn. 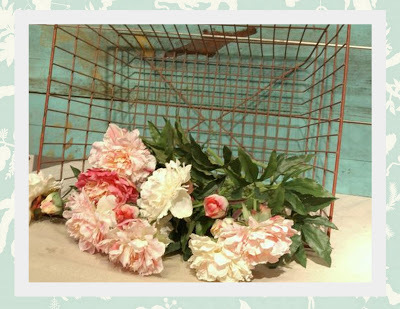 Boho clothes, body products, and jewelry were available in stalls scattered about to adorn your inner flowerchild. There was a lot of lounging about, too. Soaking in the sun, and soaking up the vibe, no doubt. Love-In, with a side of Veggies. 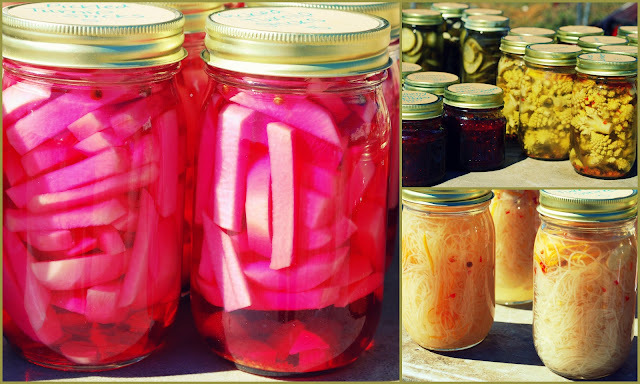 The vendors at Hope Farmers Market are the most hospitable lot I've come across in a while. Friendly, helpful, no-pressure conversation with producer/craftsman/artisans who are truly passionate about their product, they are as easygoing as the Market, itself, and more than hold up their end of the feel-good bargain. The Seedling Truck and Flour Bakery. 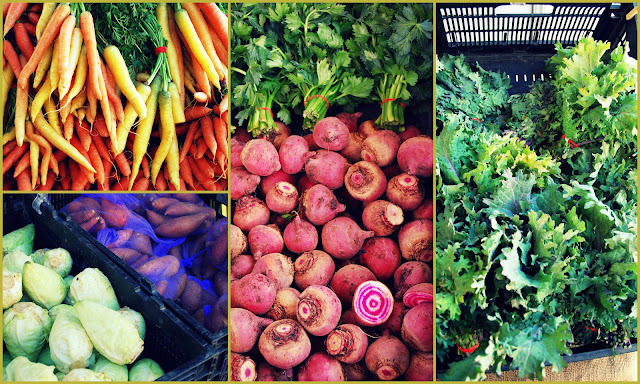 The market runs 11-3pm, but you might want to get there early, as demand often outlasts supply. 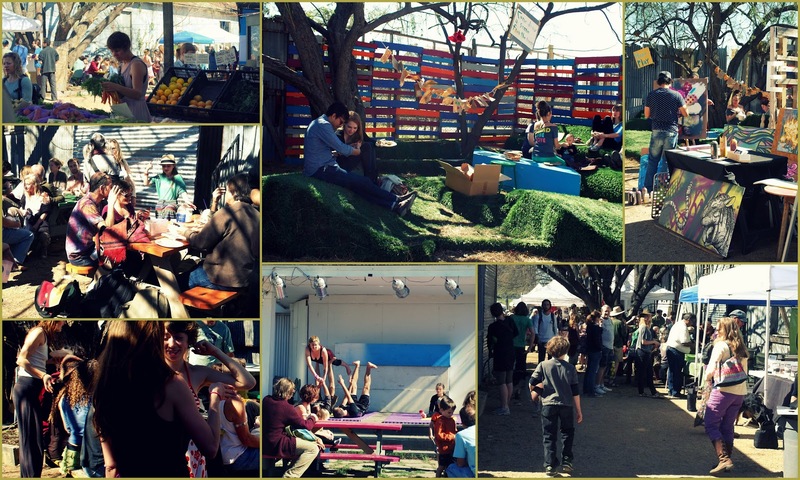 Bringing together the community to support farmers and small businesses, increase access to healthy food, and celebrate local culture in East Austin. 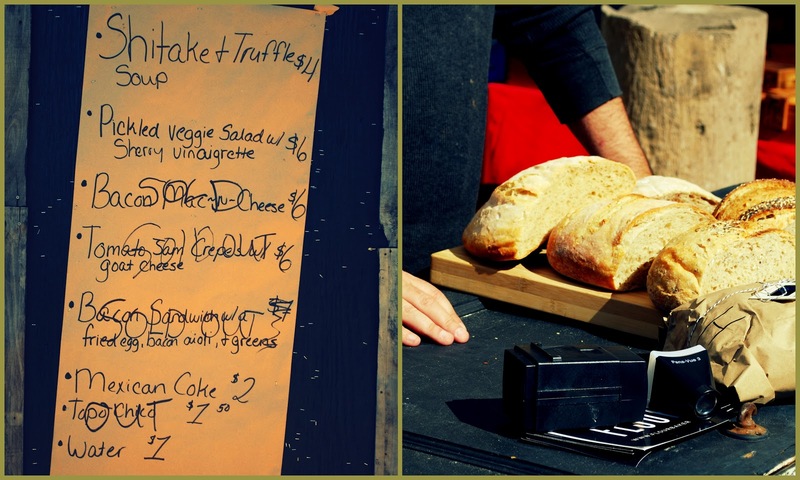 HOPE Farmers Market is the longest operating Sunday market in Austin, featuring a family of farmers, food artisans and artists from all around Central Texas. The market is a weekly showcase: inviting the community to come together in supporting a growing local food system and celebrating East Austin culture through live music and educational programming. HOPE FM encourages vendor-to-vendor collaboration and mentorship, and also provides resources and opportunities to help grow these small businesses and lay the foundation for the development of a vibrant local economy. Now accepting EBT/SNAP and WIC benefits – find out more at the HOPE Farm Stand. My garden of thoughts and dreams are filled with roses, climbing unencumbered over the trellis that frames the driveway, window boxes, cleaned of their winter bones, and filled to overflowing with flowers and ferns, herbs, dotting the pathways around the property, cottage annual beds, fenced simply, with sweet peas twining around posts, and sweet spring cabbages and greens, cut fresh, to be enjoyed as meals planned around those vegetables vying most for attention. In a few short weeks, these thoughts and dreams will become reality, with just a little soil, and toil. While it seems to be deep in the throes of winter for most of the country, Central Texas has been enjoying more spring-like weather. 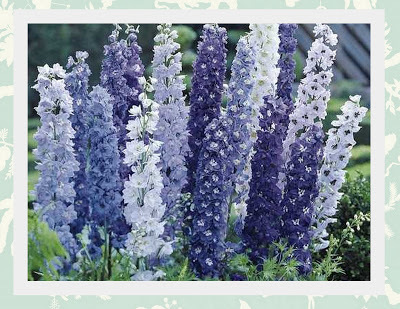 Take advantage of these pretty days to get out in the garden, and get going and growing, preparing for the prettiest days to come-- the flourishing vegetables and flowers that are promised only a month or so ahead. The following information is intended for those who garden in and around Zone 8. Planting times may differ in your area. Consult your local extension agency, and the USDA Hardiness Zone Map (and it's climate zone changes for 2012! ), for accurate planting dates and zones. Apply pre-emergent weed killer to lawn. Spray fruit trees with dormant oil just prior to bud break. Call your local Extension Office (Travis County Extension Office can be reached at (512) 854-9600) for fruit and nut tree spray schedules, if not already completed in January. Alyssum, Summer Forget-Me-Not, Snapdragon, Balloon Flower, Butterfly Weed, Calendula, Candytuft, Coneflower, Chrysanthemum, Cornflower, Delphinium, Dianthus, Daisy, Feverfew, Gaillardia, Larkspur, Liatris, Lobelia, Cardinal Flower, Monkey Flower, Nasturtium, Penstemon, Ornamental Cabbage and Kale, Pansy, Phlox, Stock, Johnny-Jump-Up, and Pansy. Alyssum, Calendula, Candytuft, Cosmos, Nicotiana, Four o'clock, Gayfeather, Larkspur, Linaria, Marigold, Monkey Flower, Nasturtium, Penstemon, Petunia, Phlox, Salvia, Stock, Verbena, Sweet Pea, Sweet William. Agapanthus, Amaryllis (in containers), Allium, Amarcrinum, Calla, Crinum, Dahlia, Daylily, Gladious, Spider Lily, Monkey Grass, Society Garlic, Tirgridia, Tulip. 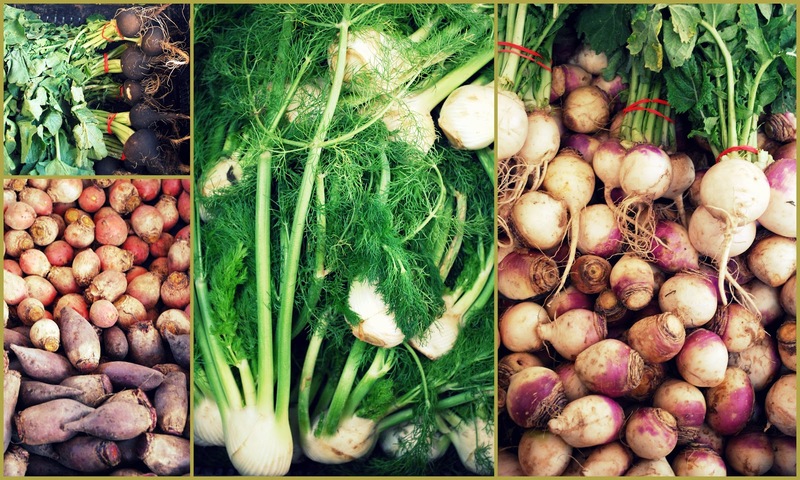 Early—Mid Month: asparagus crowns, Broccoli plants, Cabbage plants, Cauliflower plants, Carrots, Chard, Onion bulbs, English and edible pod peas, Potato (Irish), Spinach. Bare root or container grown Pecans, Fruit trees, Grapes, Berry bushes. Courtesy of Central Texas Gardener and the Garden Guide for Austin Vicinity, published by the Travis County Master Gardener Association, copyright 2000-2002. 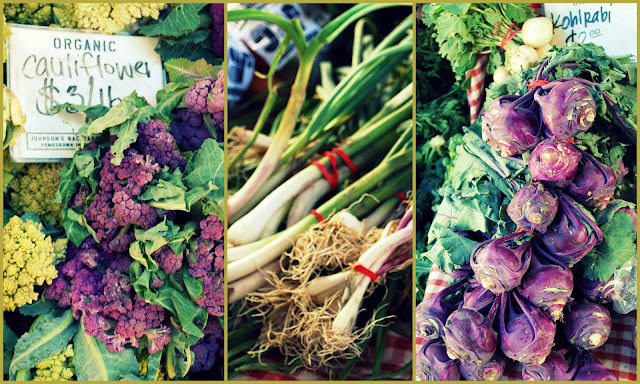 Tomorrow, join us for a look at what foods you'll find in season this month, on Notes From Maggie's Farm, In Season: February. Never has something so lovely, so delicious, been so difficult to photograph! 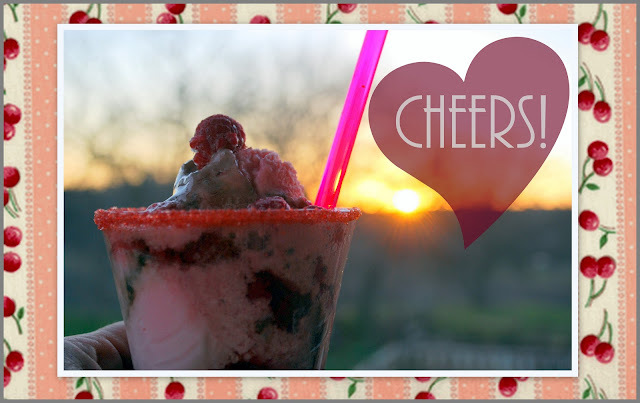 I wanted to get the whole, sun-going-down, make-you-and-yours-a-special-Valentine's Day-treat, atmosphere. The ice cream wouldn't cooperate. It was DEElicious, but perhaps a simple vanilla would have looked a might tidier. Or maybe it was the fact that I had three dogs, and four puppies, scattering around my ankles on the front porch. Maybe it was because sometimes, sometimes food isn't tidy. And in this case, maybe this time, the messier, the better. 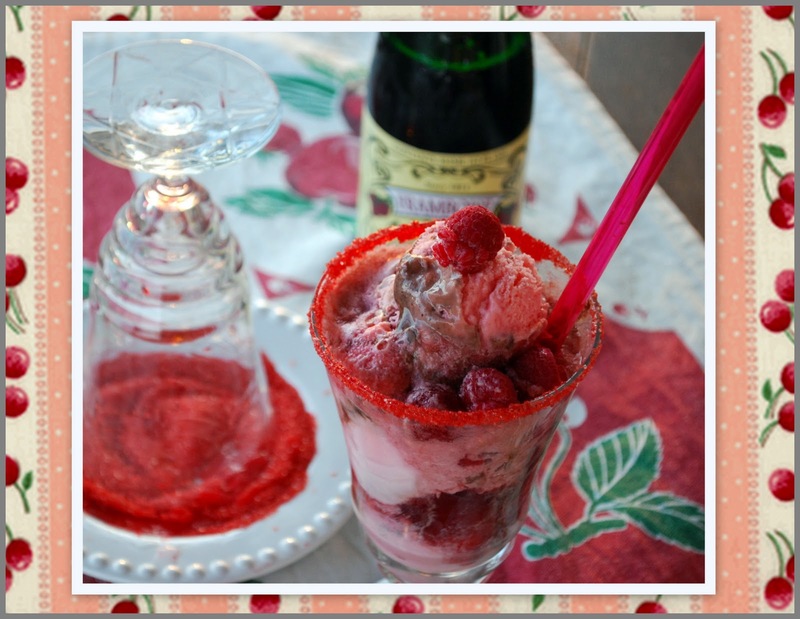 Because, my Thirsty Thursday valentines......this was a thing of beauty, as far as my palate was concerned. And simple. But not tidy. 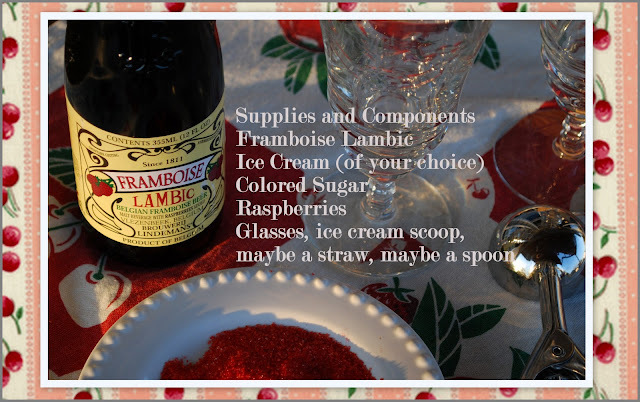 I pulled out some pretty glasses, a pint of raspberry chocolate ice cream (which is one way you could go, or that fabulous chocolate cherry that's around this time of year, or simply vanilla, too....), a handful of raspberries, and ice-cold Framboise Lambic, a belgian fruit ale. I rimmed the glasses by dipping in water, then a shallow dish of pretty red sugar, and a few scoops of ice cream. Perhaps a few scoops less would have looked tidier. Who the heck cares about tidy? I carefully poured this gorgeously-labeled lambic over all, and watched it foam like magical scrubbing bubbles. Foam is delicious, but, again, not very tidy. Who the heck cares about tidy? The Lambic, on it's own, is intensely fruity, effervescent, smooooooth, and sweet. I can't imagine more than one bottle at a sitting, but I found it quite nice from a cold glass, alone, and FANTASTIC over ice cream. We'll be doing this again. I did a little research on Lambic, and it kind of made my eyes cross, so I'm including the links, below, and sparing you my summary. It's Valentine's Day, after all, and you have better ways to spend your time. But do grab a bottle at the grocery on your way home. But don't expect it to look tidy. Who the heck cares about tidy? 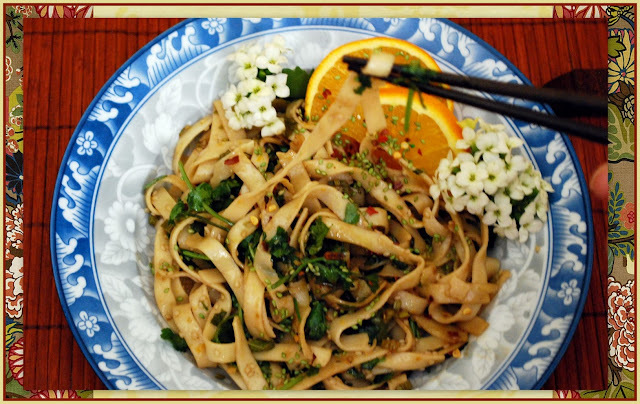 We'll be continuing our celebration of Chinese New Year, the Year of the Snake, with some healthy, and auspicious eats tomorrow, and we'd love to see you back right here, on Freestyle Friday, Notes From Maggie's Farm. There was a time, long ago, that a younger, and more foolish girl might have had her head turned by the gaudy, and much-too-expensive grand gesture. But as I've grown wiser, and, yes, older, if you must, I'm much less demanding of the flash and bling, and more demanding of the sincere and heartfelt. It isn't the grandest gestures, after all that get tucked away in hope chests, adorn the walls of Mom's office, take their places of honor at grandmother's senior center apartment, plaster the refrigerators of aunts and uncles. The precious tokens from young loves, exchanged during the lean years when money was sparse, but affection, rich. Those gifts are the rarest of all. Gifts from the heart, the soul, the hands—those really are the sweetest things. Dainty and delicate, these pretty little confections are easy and quick to whip out at that last minute—the minute you remember that homebound neighbor, your friend, freshly-single, that gruff and ornery man at the feed store that needs a little hug by way of an unexpected treat, the little girl who drops by for tea, tea with extra sugar cubes, and a visit with your funny goat (or dog, or cat, or a ride on your tractor) some afternoons. Or, perhaps, your hard working, sweet-toothed sweetheart, with affection, and wish them just an extra nudge of homemade love this Valentine's Day. I stopped by the bakery supply store a week ago to pick up some glassine bags. 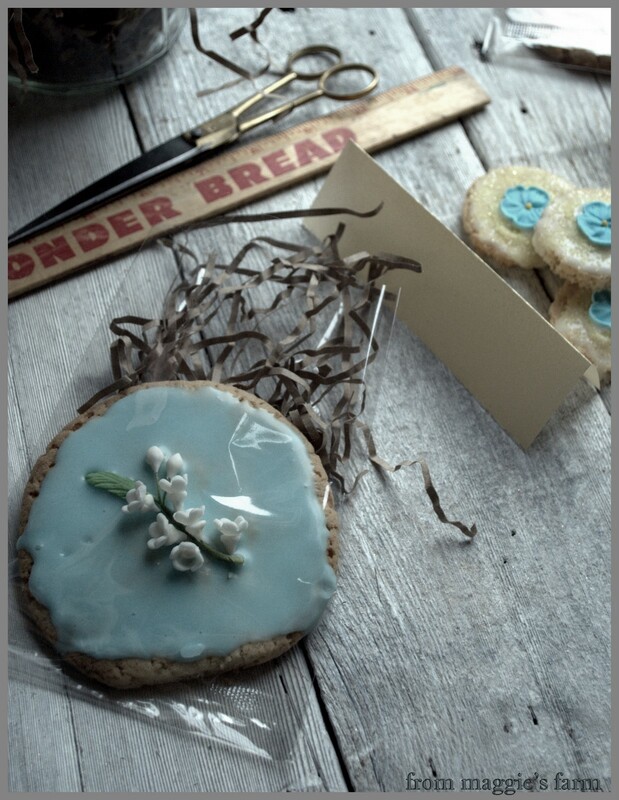 I intended to simply make a cookie, pop them in a bag, tie it with ribbon, and send it in my sweet fella's lunch. 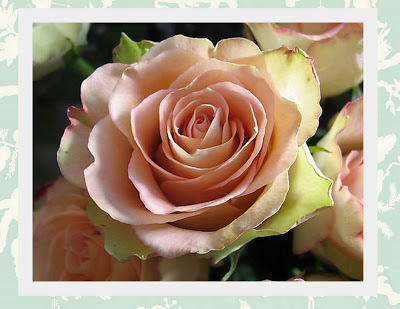 Not surprisingly, like a kid in a candy shop, or my guy in a hardware store, I was enchanted by all of the pretties to be had, especially in shades of pink and red, this time of year. But it was in the very back room, by the wedding cake supplies, in a brightly-lit glass case that I spied the prettiest little pastillage--gum paste and sugar flowers, sold individually, for cake decoration. They were tiny miniatures, like a fairy garden tucked back in that corner, and I was lost for quite some time, hunched over the display case. My imagination was set adrift. Ten cents, fifty cents, four for a quarter—I couldn't resist. I had budgeted a five dollar bill for this stop, I was absolutely giddy that my glassine bags would be only eight cents apiece, affording me a little wiggle room, several tiny flower buds, a few violets (beautiful! ), and the real splurge—a two-dollar breathtakingly delicate forget me not, complete with the loveliest pale green sugar leaves. Visions of tea parties, and fairy gardens, and pastel candies….I was seven years old again, before that awkward tomboy stage, and quietly absorbed with my prettiest doll, and that pale yellow porcelain tea set with the pink flowers and a funny little elephant that graced each dish. This particular bake shop is the formerly known All in One Bake Shop, now Make It Sweet, located in Austin, Do a little digging in your directory, if you're outside of this area, found in the yellow pages under cake decorating supplies, or bakery supply, perhaps. Try inquiring at the closest kitchen shop in your area, or even taking your search online. 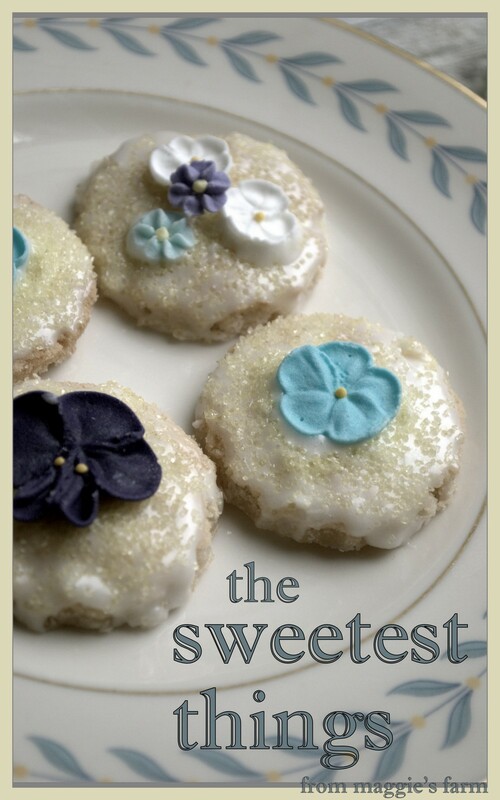 I found this website where these little pretties are available to purchase retail, and though it's too late for Valentine's Day, shop early for Easter, or anytime you'd like to put a sweet touch on your sweet treats. To make this quick and simple, I used packaged (!!horrors!!) sugar cookie dough, and royal icing mix, however you can make both quite easily from scratch, and I encourage you to do so, if you're not buried in 'things to do' like I find myself at this garden –planting time of the year. 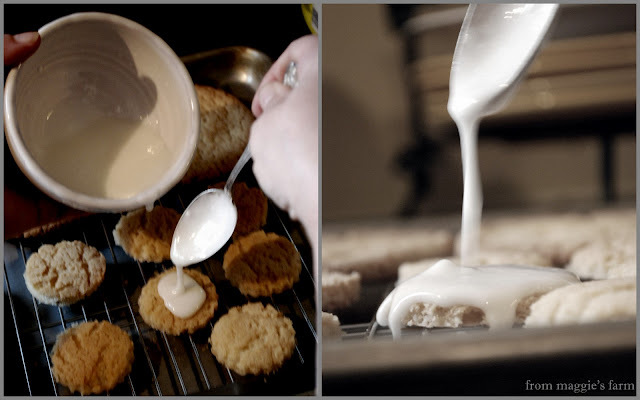 I simply made 8- 1in balls of dough, baked 4 to a half sheet in order to have room to spread, for 10 minutes at 450 degrees, as directed on package, and then, working quickly, I cut small rounds from each cookie ( got 2-3 from each). I left the second baking sheet of 4 whole, for cookies just the right size for their own glassine bag. 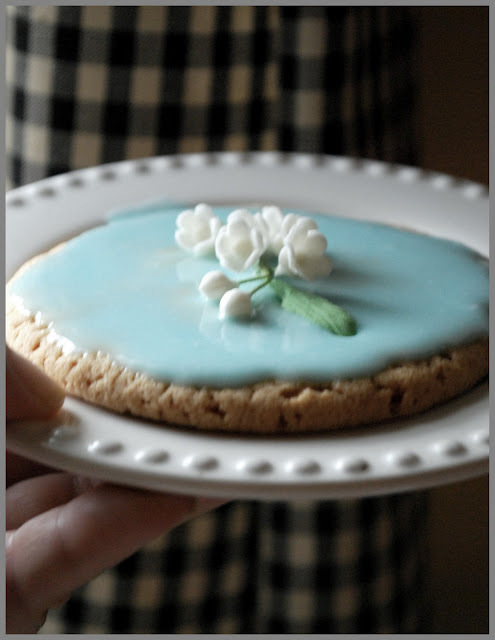 For small cookies, I used white icing, flavored with lemon zest, then sprinkled yellow sanding sugar, and finally 'painted' the back of sugar flowers with a spot more of icing and placed atop cookie. Allow to cool without disturbing and all will affix nicely. 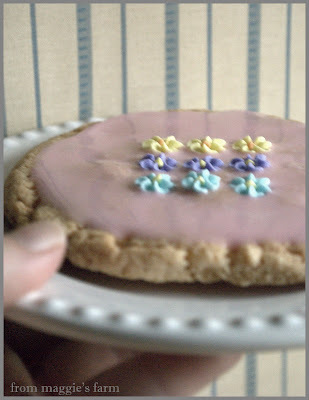 There are all manner of ways to do these little cookies, and for those of you who are more experienced with cookie and cake decorating than I, I'm sure you'll adopt techniques such as outlining, fill, piping, etc. to make stunning and intricate masterpieces. I'd love to see your handiwork! 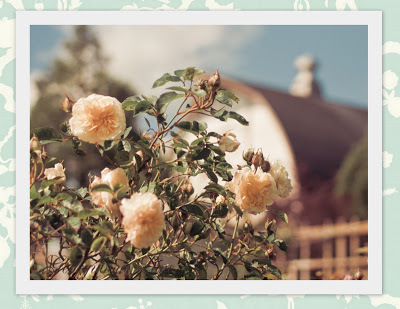 In fact, send a link in the comments section, below, and I'll post them all to the blog for others to admire. 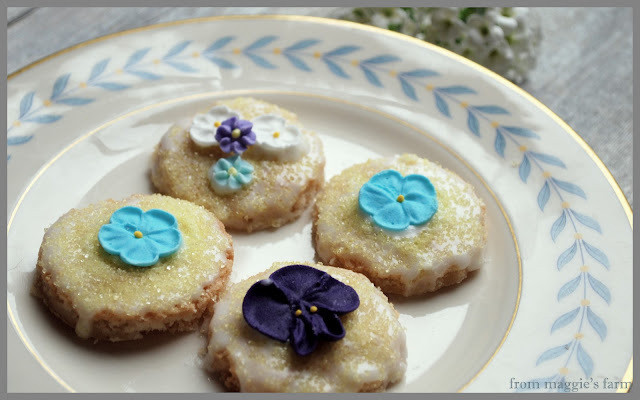 I'm planning a springtime post of tiny shortbreads with candied violets and pearl dragees for the near future, designed to be another easy gift from the hands and the heart, and I'd love to include your creations. Yesterday, we put a personal touch on packaging for your valentine friends and loves, appropriate for those with little fingers or big, lacking big budgets or big demands , but with no less charm, and these would be perfect in a pretty little bag of their own. 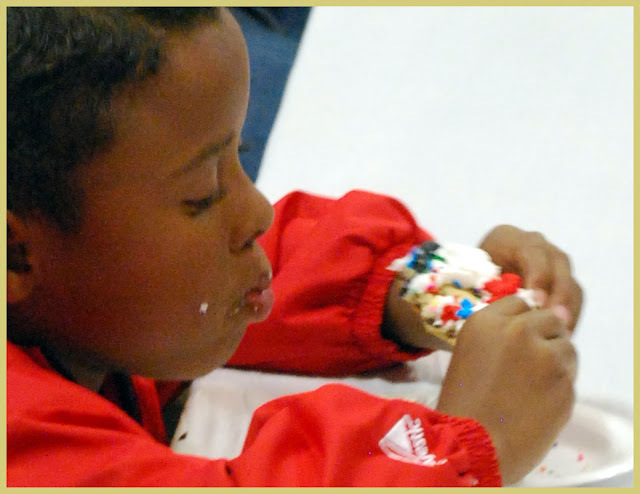 Is there any gift sweeter than one made by hand and heart? 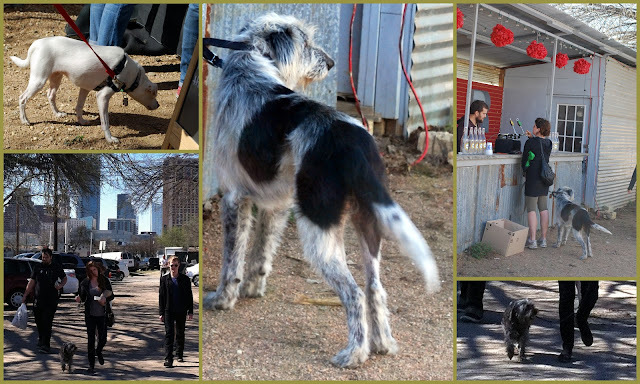 Shelley, at Slightly Off Kilter, was kind enough to share this post on her Valentine's Day round up post. 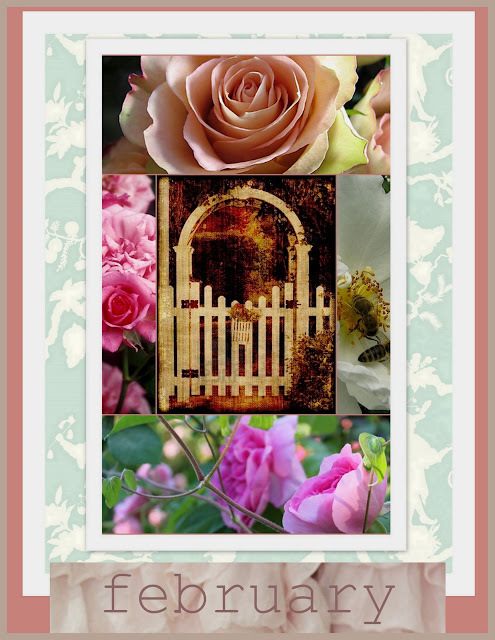 Stop by and see the fun things she has to share, both sweet and funny, and check out her charming blog while you're there. 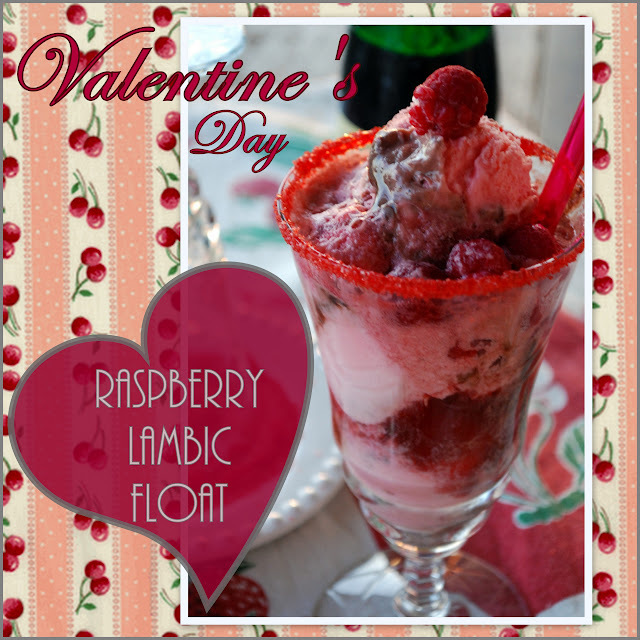 And join us later today as we celebrate Thirsty Thursday, Valentine's style, with a delicious, and deliciously messy, Raspberry Belgian Lambic Float, on Notes From Maggie's Farm.